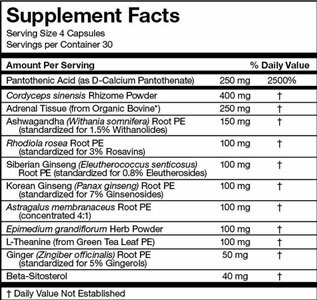 Great Support for Adrenal Fatigue! 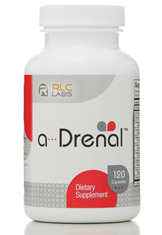 a-Drenal™ is designed to promote the healthy function of the adrenal glands. a-Drenal works to balance any adrenal issues that may be hidden or masked by hypothyroid symptoms. Raised without the use of antibiotics, hormone injections or GMO feeds. Does not contain any fillers or excipients, corn, dairy egg, fish, gluten, peanuts, rice, shellfish, soy, sugar, yeast, artificial colors, flavors or preservatives.